When you’re assessing a house from the outside, you want to make sure to pay attention to its curb appeal. 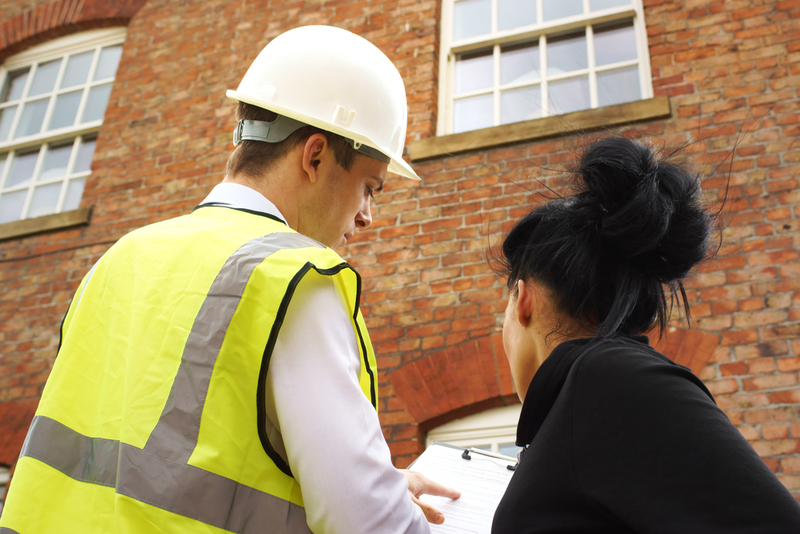 After all, potential buyers won’t come in to see all your great work unless the property looks good from the front. Make sure there are square angles on siding lines, make sure the door frames and windows are square and make sure there are no cracks in the foundation or walls. 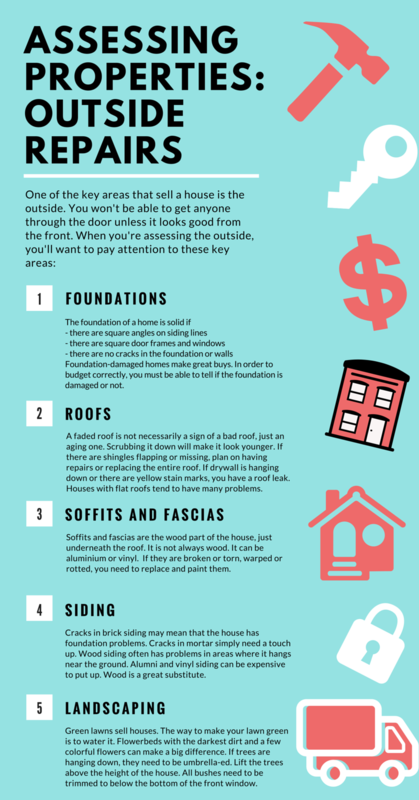 Foundation-damaged homes make great buys. But you have to be able to spot a damaged foundation if you’re going to budget correctly. A faded roof isn’t necessarily a sign of a bad roof, just an aging one. Scrubbing it down with soap and water and a push broom will make it look younger. If there are shingles flapping or missing, plan on making repairs or replacing the entire roof. If drywall is hanging down or there are yellow stain marks, you have a roof leak. Be wary of houses with flat roofs. They tend to have many problems. Soffits and fascias are the wood part of the house, just under the roof. It can be made of aluminum or vinyl. If they are broken or torn, warped or rotten, you need to replace or paint them. Cracks in brick siding may mean that the house has foundation problems. Cracks in mortar simply need a touch up. Wood siding often has problems in areas where it hangs near the ground. Aluminum and vinyl siding can be expensive to put up. Wood is a very good substitute. Green lawns sell houses. Make that lawn green by watering it regularly. Add flower beds with colorful flowers and the darkest dirt you can find. They will make a big difference. If trees are hanging down, they need to be trimmed so they’re above the height of the house. All bushes need trimming so they’re below the bottom of the front window.